Yolo County is an awesome place for bicyclists of all levels. Terrain ranges from flat roads through the gorgeous countryside to rolling hills to steep canyon ascents. 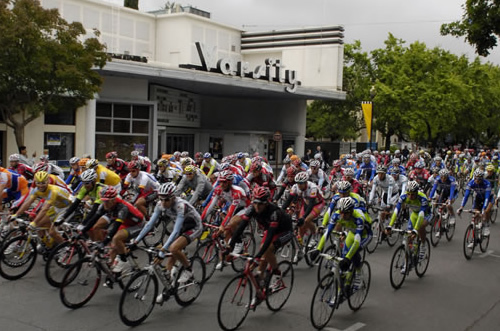 Davis is the epicenter: home of the U.S. Bicycling Hall of Fame, the Davis Double Century, Foxy’s Fall Century, 4th of July Criterium, and near-daily rides organized by the Davis Bike Club. 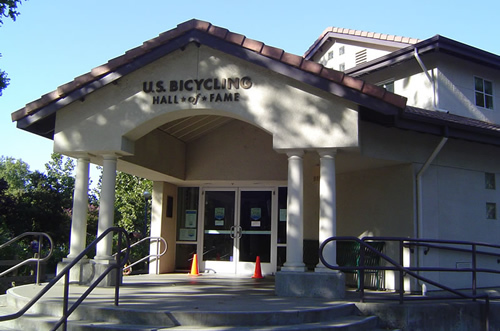 Davis is recognized as a Platinum-level Bicycle Friendly Community by the League of American Bicyclists. 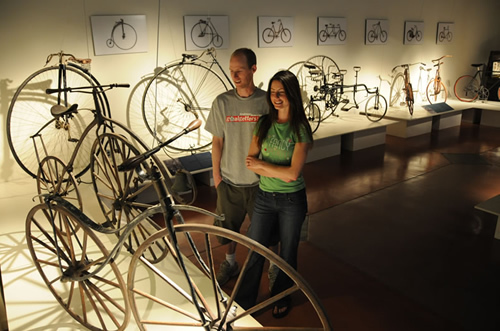 In Davis, you can saunter around on the 12-mile Davis Bike Loop, or head up the road to Woodland and bike through fantastic neighborhoods of historic homes on the Woodland Bike Loop. If you live in the Sacramento region, take advantage of the awesome Bak2Sac 2016 Program, and get a free train ride on Capitol Corridor. 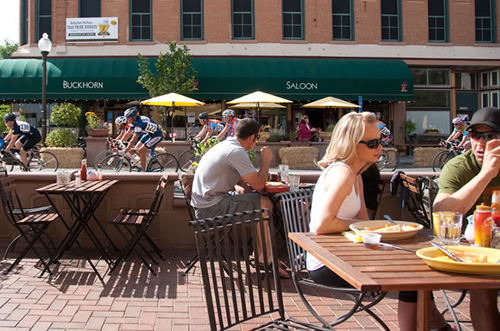 You can pedal west to historic downtown Winters, a favorite destination for casual meals, wine-tasting, music, and beyond into the English Hills. Come on a Wednesday evening Spring through Fall, and you take part in the unofficial Putah Creek Road time trials. Below are some of our favorite local routes, links to maps, cue sheets, and elevation profiles–provided by the experts of the Davis Bike Club. Most of these rides start in Davis or Winters. We have covered these roads on solo rides, on recurring club rides, and on club tours. Keep in mind, however, this does not aim to be a complete compilation of rides and route data. These are ideas and themes that you can riff on. We encourage you to find ways to make these ride ideas work best for the type of cycling you want to do, whether you are novice out for fun or a serious cyclist on a training ride. Davis to Winters – There are many ways to ride to Winters. This one starts from Starbucks on Lyndell Terrace and takes a northerly route before dropping down to pick up Putah Creek Road. It returns via the Russell Bike Path. All amenities, including a bike shop, are available in Winters. Davis to Woodland – This is a 35.4 mile loop that starts in Davis skirts the county airport, heads north, then cuts back down through some of Woodland’s nicest roads. 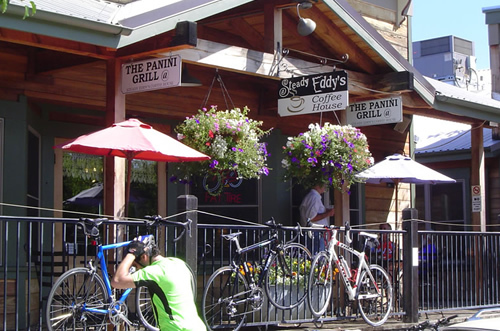 If you’re looking for a lunch stop, you’ll be right by Ludy’s and other good choices of Main Street. Davis to Capay – This is a pleasant ride through the farmlands of Yolo County to the small town of Capay. You’ll cycle past aqueducts, fields of sunflowers, orchards, and a number of lovely farmhouses. The Roadtrip Bar & Grill in Capay is the mid-ride destination for refueling. Clarksburg & Bogle – This ride (as mapped) starts from the Southport Town Center (shopping center at intersection of Lake Washington and Jefferson Boulevards) in West Sacramento. Riding to and from east Davis (Mace Park & Ride) would add approximately 26 total miles. Lake Solano Loop – A classic club ride that ventures out around Lake Solano and, except for ‘Mt Solano’, is mostly flat. 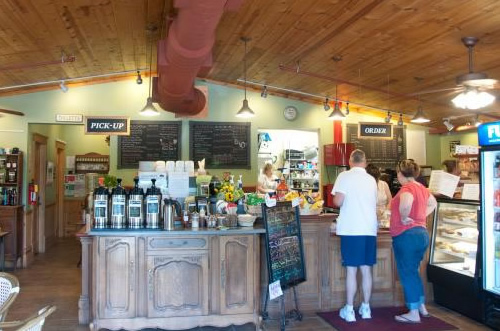 Stop in Winters on the return for good eats. Davis to Dunnigan Hills – Explore the southern edge of the Dunnigan Hills, which is some of Yolo County’s best wine country. This is a really nice ride in springtime. You’ll pass by Cache Creek Preserve at mile 14.5 and mile 49; it’s a nice spot to rest, bird watch. Water/porta-johns available. Cantelow – Get yourself to Winters (cycling adds about 25 total miles and imperceptible elevation gain). This is the closest local climb and has minimal traffic. Can be done in either direction (going west to east is steeper). No services on route once you leave Winters. Davis to Suisun/Fairfield Amtrak Station – This is a relatively flat route from the Davis Amtrak station to the Suisun/FF Amtrak station. Route skirts Vacaville on the north side, but it’s easy to jog into town for all amenities including a bike shop. Davis to Martinez Amtrack Station – Use a prevailing north wind help push you to Martinez, find a good place to eat, and then take the train home. Or make your way to Davis and stay the weekend! Davis to Vallejo Ferry This route was scouted and mapped with the intent of keeping the cyclist on low-traffic, scenic and safe routes to and through Vallejo, either to or from the Ferry Terminal. Ride, Cat & Coffee – This is a relative short ride from Davis to Woodland. Refueling happens at the cozy, jovial Fat Cat Cafe, corner of 2nd Street and Dead Cat Alley. 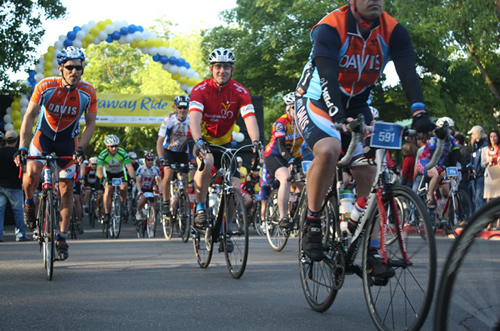 Davis Bike Loop – The Davis Bike Loop is an approximately 12 mile long route through the Greenbelt that passes through most of the major pieces of bicycle infrastructure in town. It’s also the route of the annual Tour de Cluck event in May. Easy for everyone. 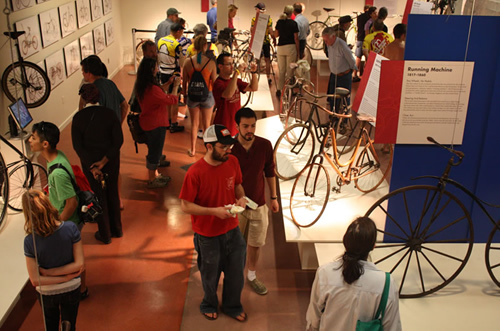 Historic Davis – This Bicycle Tour of Historic Davis has been remapped to provide a cue sheet for cyclists. Turn-by-turn directions and Points of Interest are noted. Flying Double – A loop that takes in Yolo County Airport and the University Airport. The loop around the University Airport also takes you past the Putah Creek Riparian Reserve on the levee road. All roads are paved, although this section is a little ‘lumpy’. Backroads of Winters – Explore some lovely backroads out of Winters, passing farmlands and orchards. Cache Creek Nature Preserve – A mostly out-and-back trip to the Cache Creek Nature Preserve, which is open to the public weekdays 7am to 4pm and on third Saturdays, according to its website:http://www.cacheconserv.org/. Steiger Can’t Elope – A favorite of the DBC for their Sunday Morning Climbing Clinic: and out-and-Back over Steiger Hill. NOTE: There are no water, food, or bathroom facilities on this route once you leave Winters. Canteloupe Mix – As aggressive a ride as you will find in Yolo County, this route takes in all of Cantelow and some of isolated, steep Mix Canyon. Good for legs and lungs. Winters – Moscowite – Another DBC Sunday Morning Climbing Clinic: Out-and-Back to Moskowite Corner. For a 30-mile option, park and ride from the Lake Solano rest area (Pleasants Valley Road and Highway 128); you will still get all of the climbing.